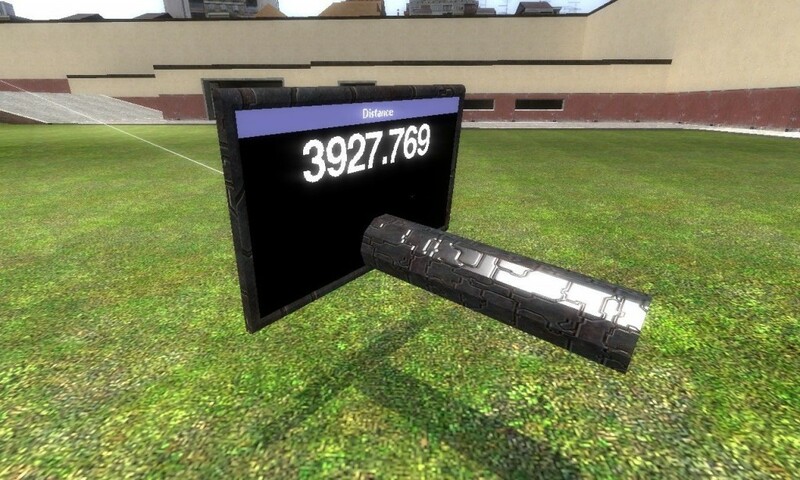 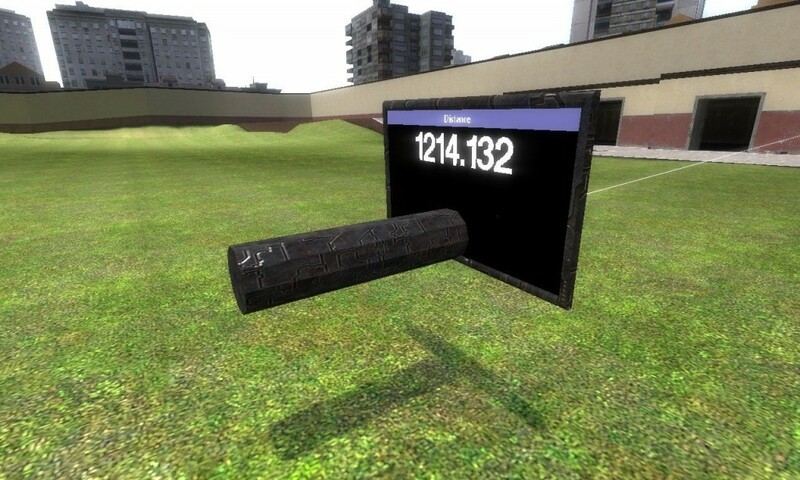 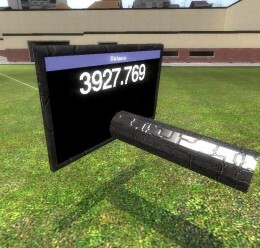 Use Distance Meter to measure distances in Garrys Mod. 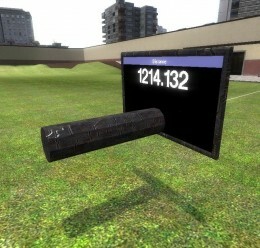 It holds a screen that reports in real time the distance you are measuring. 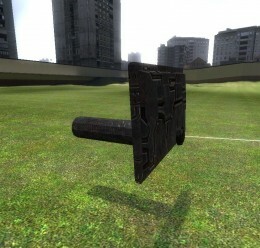 Paste it with the Adv. 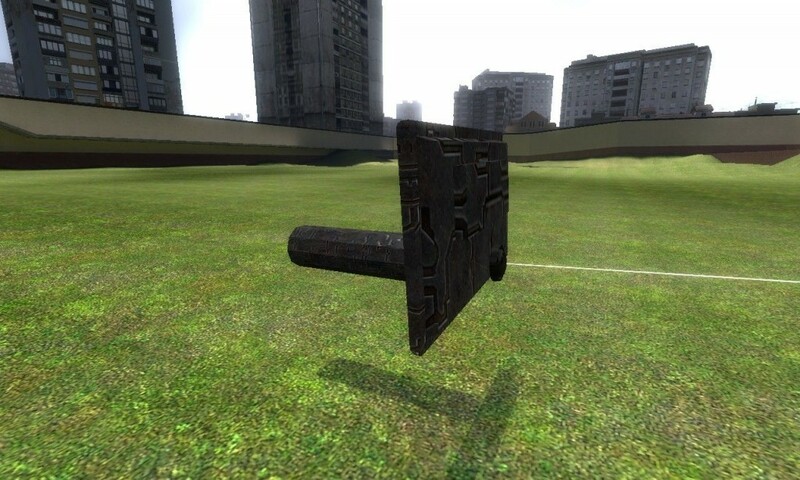 Duplicator.